Wolves Lane community market gets festive in the snow! 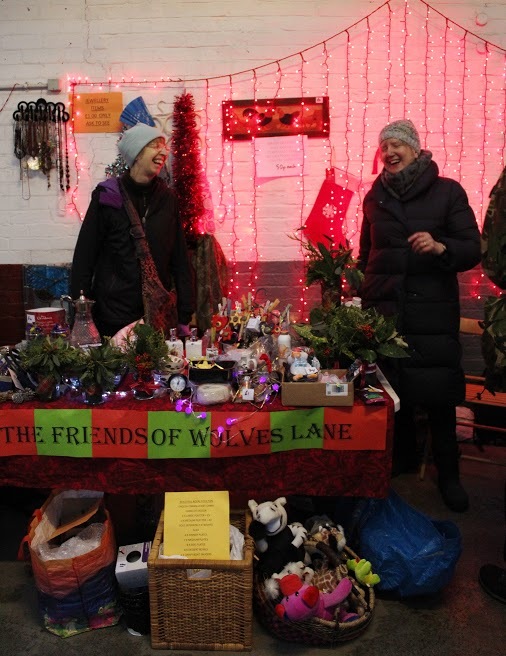 A collection of community organisations, including the Ubele Initiative, worked through the snow to launch a new market at Wolves Lane Horticultural Centre on Sunday 10th December. With a festive look of white-capped greenhouses the day got in full swing with food, music, palmhouse visits, children’s activities and stalls selling all kinds of wares from jewellery, to shark melon squashes, to salvaged bicycles. 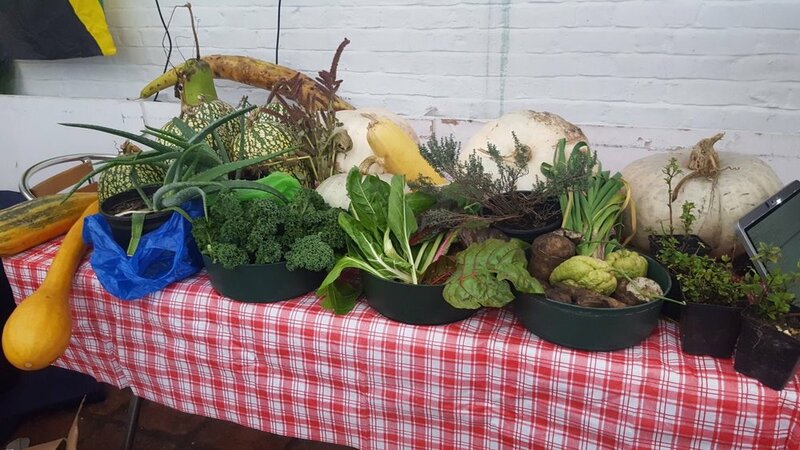 The event was part of a ‘community conversations’ process where Haringey organisations have been sharing ideas and building relationships to develop a community food hub at the former council-managed horticultural centre. There were discussions and interviews on the day with local people to input thoughts for future education programmes and activities at the much-loved community resource. Organisations involved in putting on the event were: Crop Drop, Friends of Wolves Lane, Go Grow!, Haringey Migrant Support Centre, Living Under One Sun, London Grown Workers Co-op, The Selby Trust, Wolves Lane Good Food Skills, The Ubele Initiative. Watch this space in 2018! We are recruiting participants to attend a fully funded 5 day Erasmus+ programme on Women’s Enterprise!